When Agnes hit the mountains of Pennsylvania, she dropped torrential rains that quickly flooded small streams like Loyalhanna Creek. 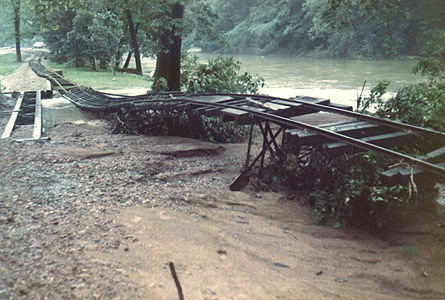 The water was so high and so swift that it took the tracks right off of the bridge crossing the creek into the main station. 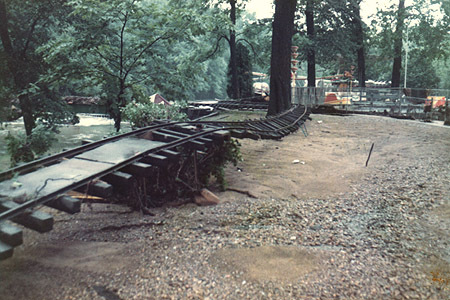 This is what was left of the main boarding station in Idlewild Park, located just across from the Skooters, and next to the Whip, which you can see in the background of the photo. On the right, you can see the coal bin (green). The station house, now swept down by the bridge to the left in the photo used to be up behind that coal bin. Also, under the tracks in the left-center of the photograph you can see the train's water tower, tumbled down by the storm. This is a closer shot of the damage seen in the photo above. 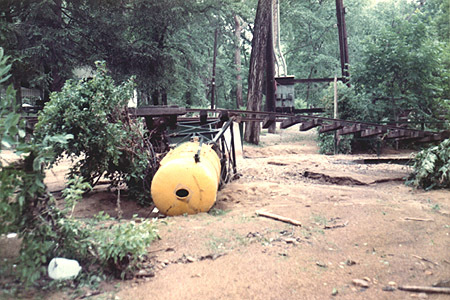 The ground in this area was now covered by sand and mud from the flooded creek. Here you can see the water tower, tumbled over by the swift current during the storm. 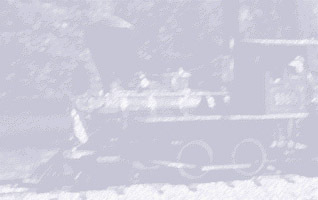 Here is a view in the opposite direction, looking up the hill from the station. 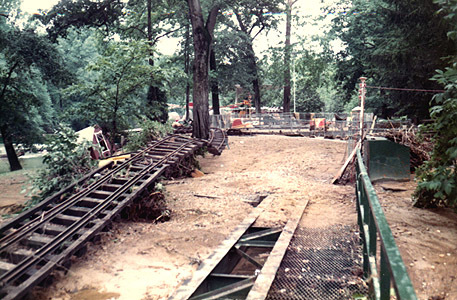 Note the small bridge on the left from which the track was also torn away. The chain-link fence you see on the left is where the loading platform for the train is located. Again you can see how it is covered with mud and sand from the creek. 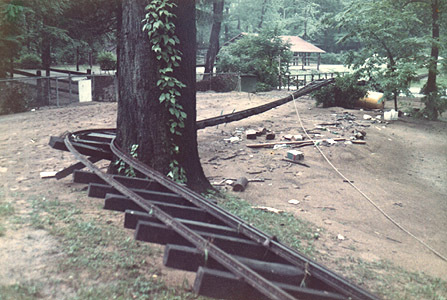 Here is where the track wrapped itself around a tree, just beyond the bridge. The woman in the photo is Mrs. Williams, the late Ken William's wife. 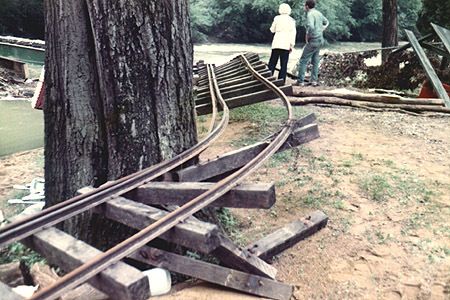 Click on the "Little Toot" below to continue your ride through the aftermath of Hurricane Agnes.